Visionary… is the one word that best describes Margo L. Davidson. She is a compassionate businesswoman whose hallmark is her ability to see the greatness in others. She has spent her life working to help people overcome incredible odds to realize their individual potential. Margo Davidson learned to champion the underdog and overcome obstacles while being raised by a single mother in Philadelphia. With the love and support of her mother, she learned to ignore the naysayers and doomsday predictors. From these early years, she learned the value of hard work and giving back that shape her commitment to public service. She began her career as a broadcast journalist, working as a radio broadcaster for several years while starting two non-profit organizations – one to help small businesses grow and the other to make children and families safer. Her mission as a journalist was to make sure people had good, high quality information to help folks make informed decisions to improve their quality of life. Davidson is a graduate of Temple University and participated in the University of Pennsylvania Wharton School of Business management certificate program. She also has a Master of Business Administration from Saint Joseph University. Davidson was first elected to the House of Representatives in 2010. Throughout her years in public service, she has fought to stabilize communities and create jobs. Davidson serves on the Commerce, Consumer Affairs, Finance, Insurance, and Tourism and Recreational Development committees, as well as the Committee on Committees. She has authored and co-sponsored legislation that supports small business growth, public safety and minimizes the tax burden on the middle class and working families. She serves as vice chair of the PA SAFE Caucus. Davidson understands working families as a wife and mother who resides in Upper Darby with her husband of 25 years. They have four sons, three grandsons and one daughter-in-law. 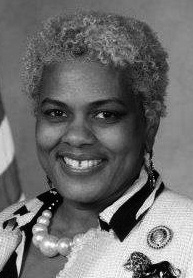 Davidson is the first Democrat, the first African American and the first woman to represent the 164th Legislative District.